c. 1305 - 1306. Fresco. 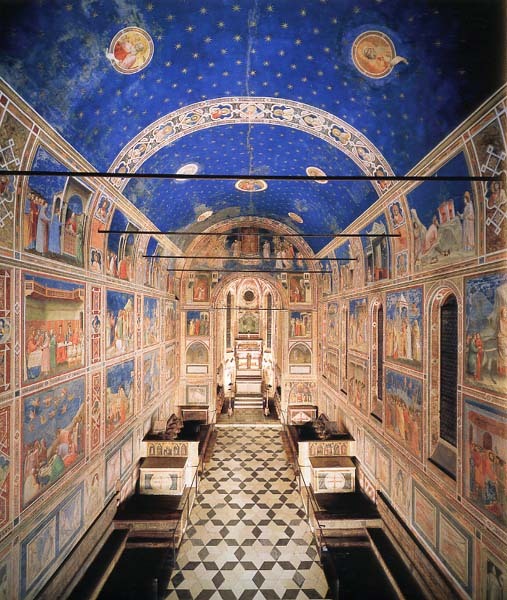 Giotto di Bondone, Frescoes in the Arena Chapel, 1305 - 1306. 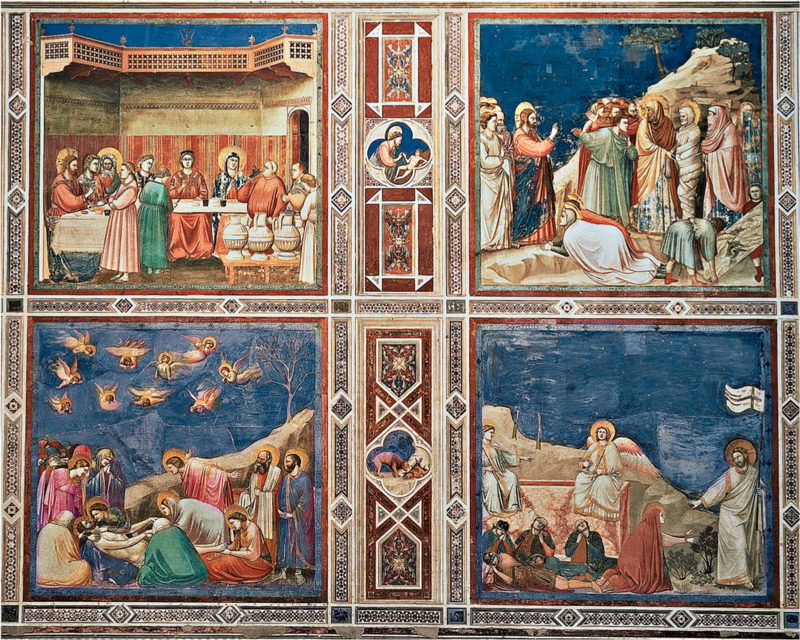 Giotto di Bondone, Marriage at Cana, Raising of Lazarus, Resurrection and Noli Me Tangere, and Lamentation, 1305 - 1306. 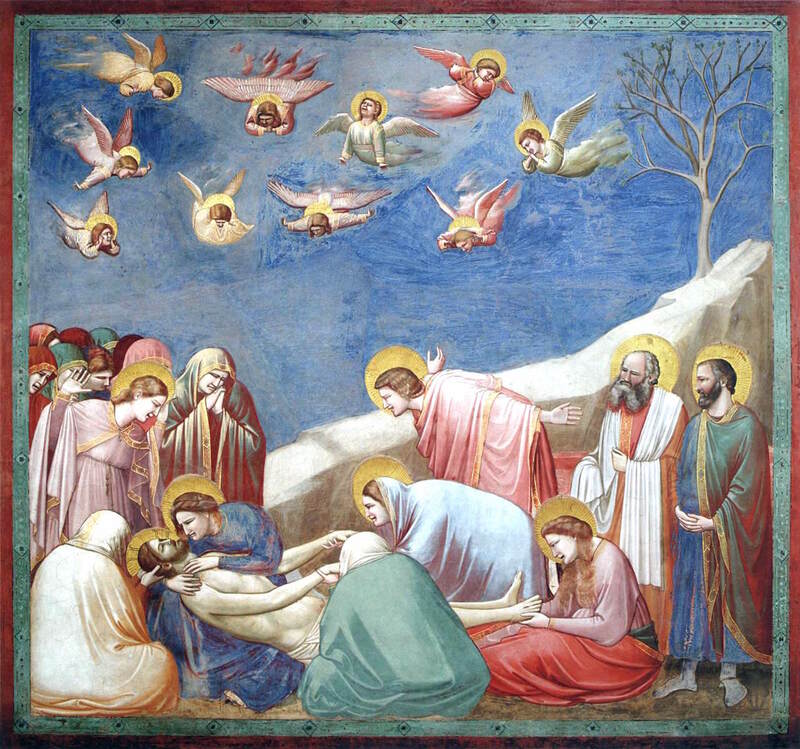 Giotto di Bondone, The Lamentation, Arena Chapel, Italy, c. 1305. Fresco. Cimabue, The Virgin and Child Enthroned with Angels and Prophets, about 1285 – 1286. Tempera and gold leaf on panel. Giotto di Bondone, The Virgin and Child Enthroned with Angels, about 1306 – 1310. Tempera and gold leaf on panel. 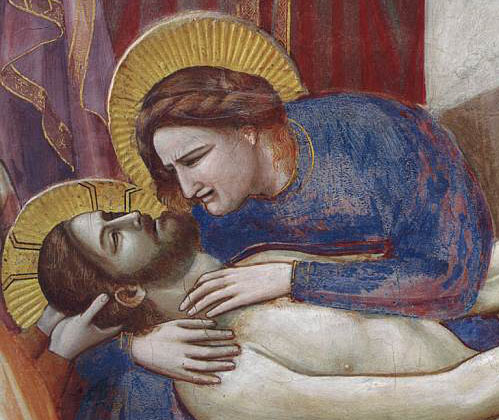 Giotto di Bondone, detail of The Lamentation, c. 1305. Fresco. Humanism = a cultural and intellectual movement during the Renaissance, following the rediscovery of the art and literature of ancient Greece and Rome. A philosophy or attitude concerned with the interests, achievements and capabilities of human beings rather than with the abstract concepts and problems of theology. Francesco Petrarch is often called the "Father of Humanism." 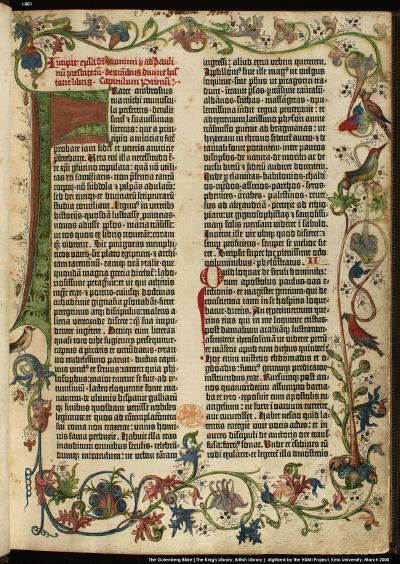 He was a scholar and a poet who lived in Florence in the 1300s who studied poets and philosophers from Ancient Rome, such as Cicero and Virgil. 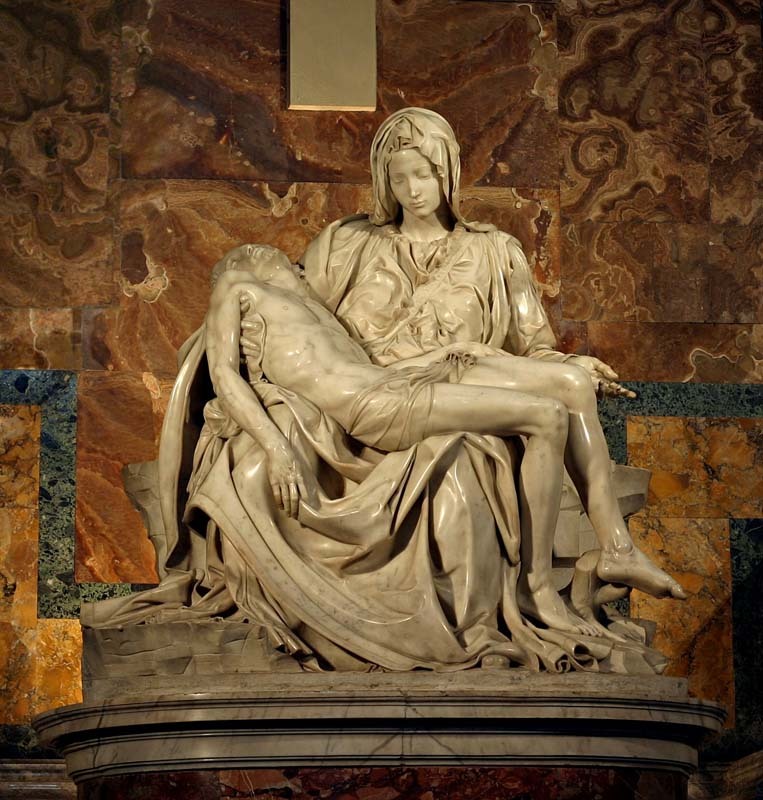 Michelangelo, Pieta, Saint Peter's Basilica, 1498 - 1499. 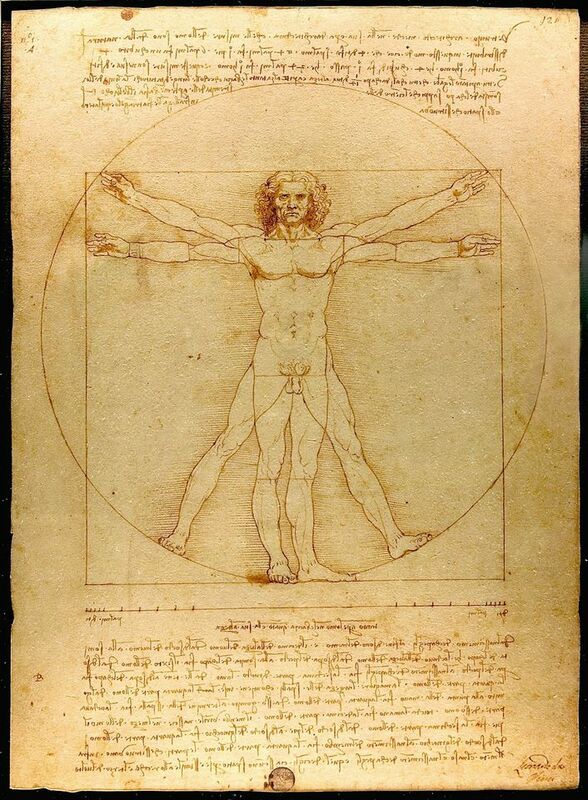 Leonardo da Vinci, Vitruvian Man, c. 1487. Antonio del Pollaiuolo, Battle of the Nudes, c. 1465 – 1470.